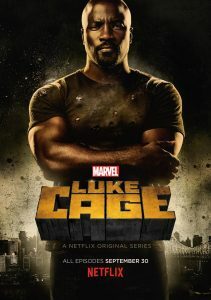 As a result of a failed experiment, Luke Cage (Mike Colter) has developed an indestructible skin and superhuman strength. It is now a fugitive trying to rebuild their lives in the New York neighborhood of Harlem. Will soon be forced out of the shadow, fight for their city and confront a past he wanted to bury. Writers: Archie Goodwin, Cheo Hodari Coker, John Romita Jr.